Western Istrian wine region, Buje area, grapes of stronger structure, reduced yields, from selected positions. Alba Robinia is 100% Istrian Malvasia, made using the method of quick grape processing, no skin contact as a rule of thumb, fermented and aged 12 months on sediment in Istrian acacia barrels. Sediment is periodically stirred until the end of winter. This wine demands longer ageing, thus it is market-ready two years later than Malvasias aged in French oak, usually after four years. It is characterised by intensive and untypical aromas of honey, smoke and sometimes bacon (if new barrels are used). 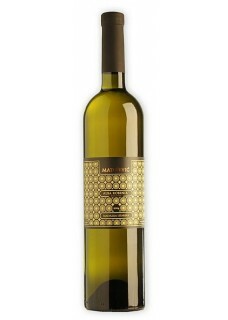 It seems that using acacia barrels we could extend Malvasia’s longevity. Due to its pronounced character and full body, this wine is mostly aimed at gastronomy. Robinia is an untypical Istrian wine of distinguished character. Food pairing: Fish, prosciutto and cheeses.